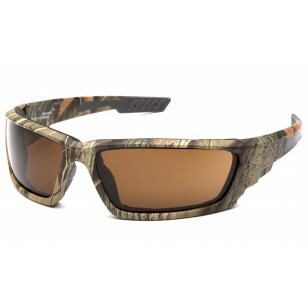 Venture Gear - Brevard - Cammo Frame/ Bronze anti-fog lens - Sporty, unisex design. Full wrap-around lens provides excellent impact protection. Vented foam padded frame provides superior comfort with great air flow. Anti-fog, scratch resistant polycarbonate lens provides 99% UVA/B/C protection. Packaged in a Venture Gear branded polybag with retail tag.